Mail skirt. 9mm flat rings, round rivets. Black. > Recruit>Chainmail>Mail skirt. 9mm round rings, round rivets. Black. 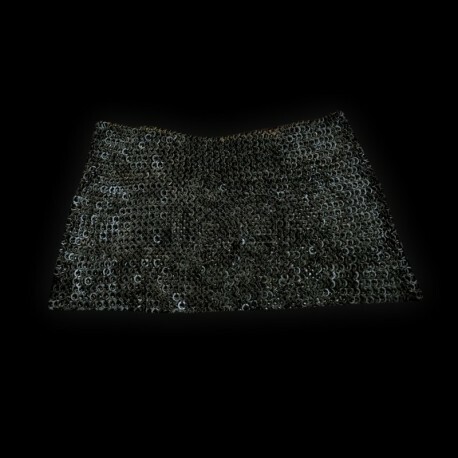 Mail skirt. 9mm round rings, round rivets. Black. 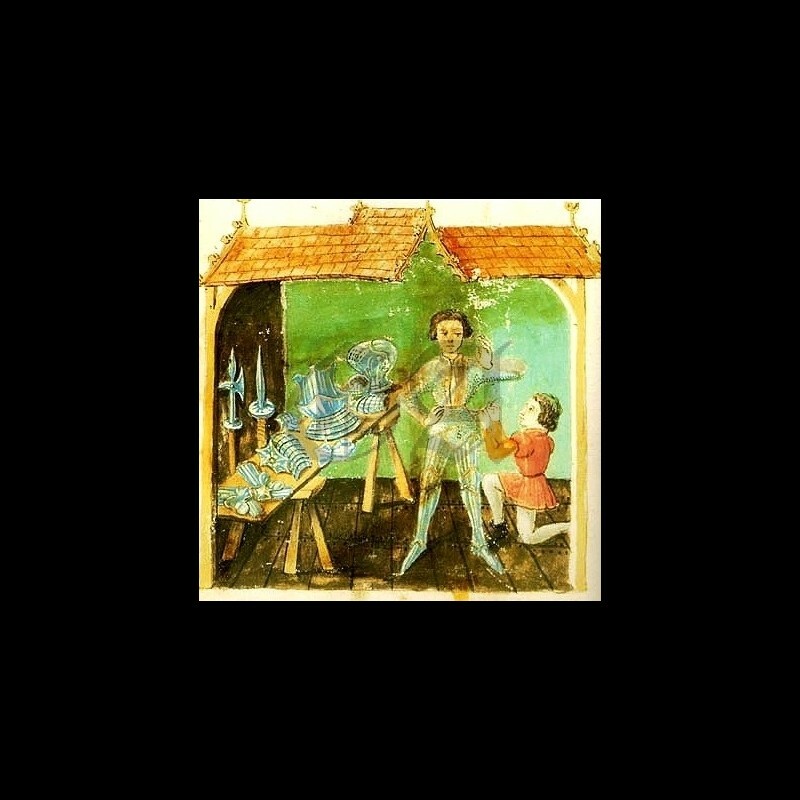 In order to reinforce one of the main weakspot of the armour, most men-at-arms used to wear a mail skirt under their fauld and tassets. 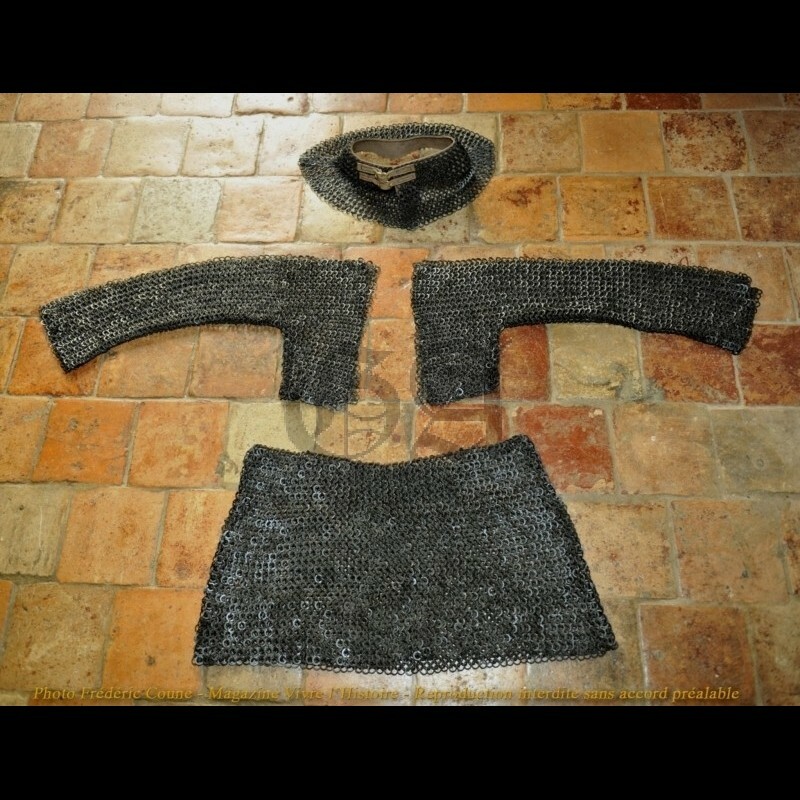 In Italy, knights and condotieres even used to wear a full haubergeon AND a skirt of mail which create a very characteristic double layer of chainmail at this sensitive weak point. 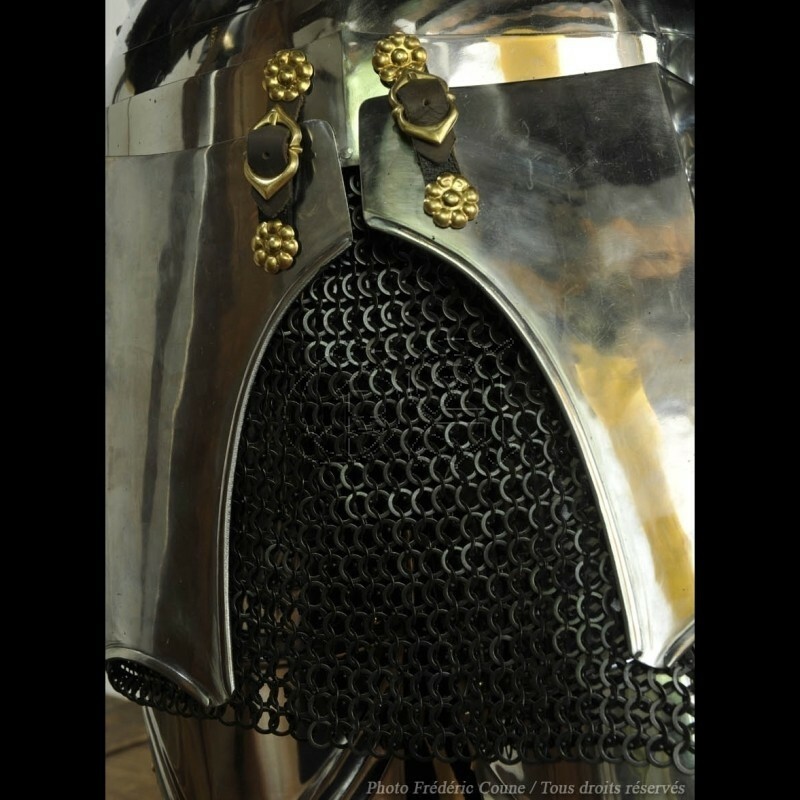 Notes: The use of these additional protections is highly recommended if you wish to practice jousting, competitive “Pas d’Armes” or battle reenactement. 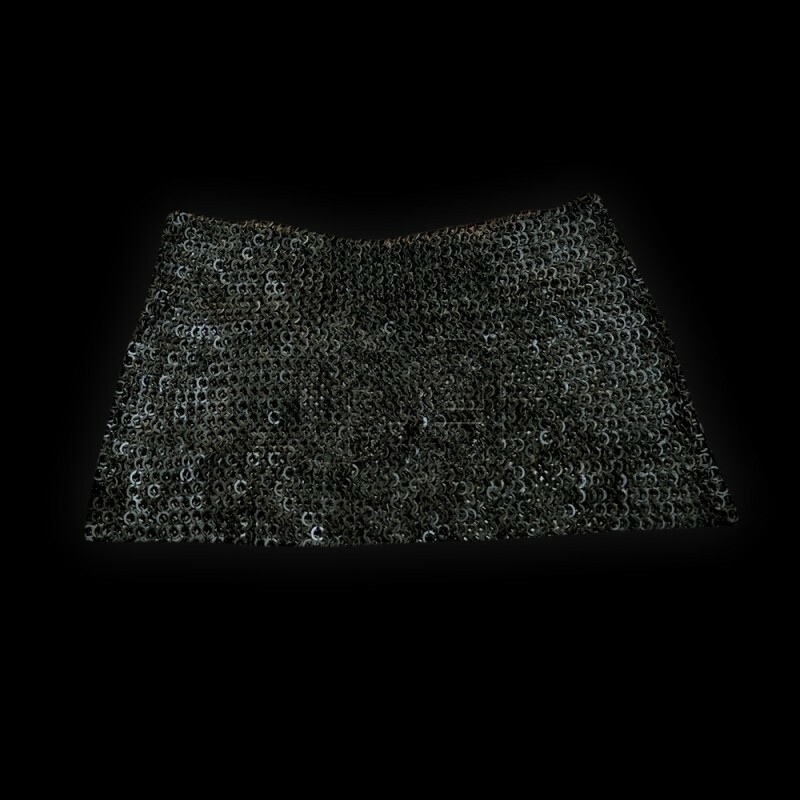 Our mail skirt are made of properly riveted mail like all real medieval originals. 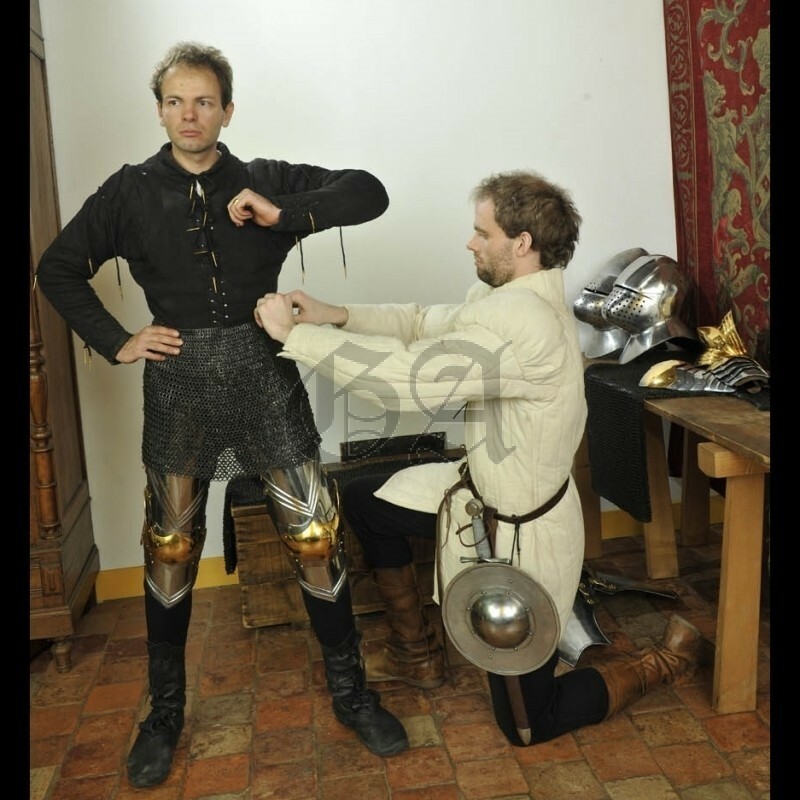 Their light and strong 9mm 18G round rings alternated with solid flat rings make them ideal for reenactment fighting and competitive “Pas d’Armes”. Finish: blackened, in accordance with several sources of this era.